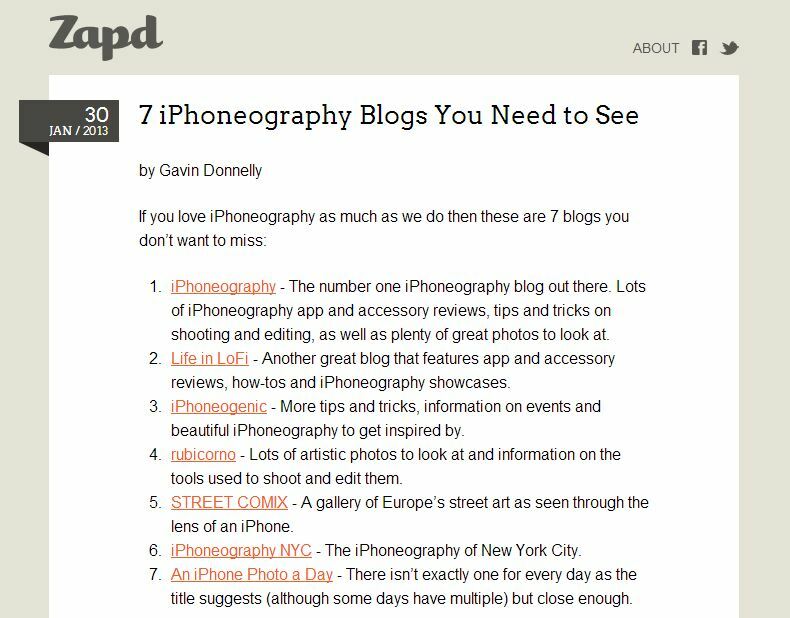 This blog has been listed, amongst great iPhoneography blogs, by Zapd in the post: 7 iPhoneography Blogs You Need to See . I would like to thank Zapd for mentioning me and invite you to take a tour on their site, they developed a great app for developing websites on y0ur mobile phone..
Congratulations, Davide. You keep the bar raised for the rest of us. I saw that yesterday and forgot to stop by to congratulate you! Congrats! I saw that yesterday and forgot to congratulate you! Congrats! !